Orphaned and trapped in an abusive marriage, Henrietta Howard has little left to lose. She stakes everything on a new life in Hanover with its royal family, the heirs to the British throne. Henrietta’s beauty and intelligence soon win her the friendship of clever Princess Caroline and her mercurial husband, Prince George. But, as time passes, it becomes clear that friendship is the last thing on the hot-blooded young prince’s mind. Dare Henrietta give into his advances and anger her violent husband? Dare she refuse? Whatever George’s shortcomings, Princess Caroline is determined to make the family a success. Yet the feud between her husband and his obstinate father threatens all she has worked for. As England erupts in Jacobite riots, her family falls apart. She vows to save the country for her children to inherit – even if it costs her pride and her marriage. Set in the turbulent years of the Hanoverian accession, Mistress of the Court tells the story of two remarkable women at the centre of George II’s reign. If anything, I enjoyed Laura Purcell’s second novel based on the lives of the Hanoverian court more than her first, Queen of Bedlam, a touching story of the unfortunate and misunderstood George III and how his illness impacted on his daughters. 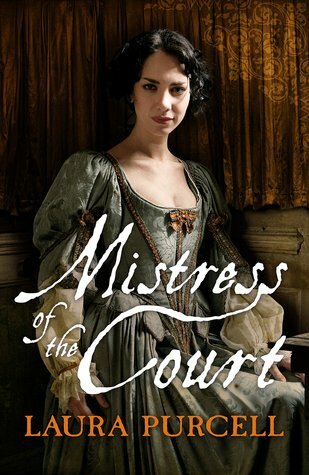 Mistress of the Court is a deeply moving biographical story of Henrietta Howard, who was to become Countess of Suffolk. The loss of her father at a young age, followed by the deaths of her elder siblings, left Henrietta at the mercy of wealthier relatives. Through gratitude and duty, she married Charles Howard, a man who proved to be a disastrous choice, but her strong character made her determined to overcome both physical abuse and being one of a noble family but without the financial rewards. Queen Anne is reaching the end of her reign, and despite poverty and a drunken wastrel of a husband, Henrietta takes him to Herrenhausen and the court of Sophia of Hanover. Using her noble contacts and discreet manners, Henrietta secures positions for both herself and Charles. Within months, Sophia is dead, but this is quickly followed by Queen Anne, making Sophia’s son George King of England. Henrietta returns to her homeland in triumph, though her feckless husband’s behaviour threatens to ruin them both. Nor is she to be left alone to enjoy her achievement, and instead, has to fight for everything she has, and fight again when circumstances contrive to deprive her of all that she loves. Manoeuvred into a position at court she never sought, subject to the jealousies of others, the violent spite of her husband and the resentment of her royal mistress, Caroline of Ansbach, Henrietta remains serene, aristocratic and unaffected – at least to the outside world. Written in a realistic, but unsentimental way, this is a fictional, but chillingly accurate account of Henrietta’s misery among the luxury of court life, while clinging to the belief that one day, she will be free to have a life entirely her own. Ms Purcell’s knowledge of the intimate life of the Hanoverians is stunning, and in this novel she has brought a remarkable, and unappreciated heroine to gritty, heart-breaking life. A definite keeper. Anita Davison also writes as Anita Seymour, with a 17th Century biographical novel Royalist Rebel and The Woulfes of Loxsbeare series. Her latest venture is an Edwardian cozy mystery, Murder on the Minneapolis released by Robert Hale.